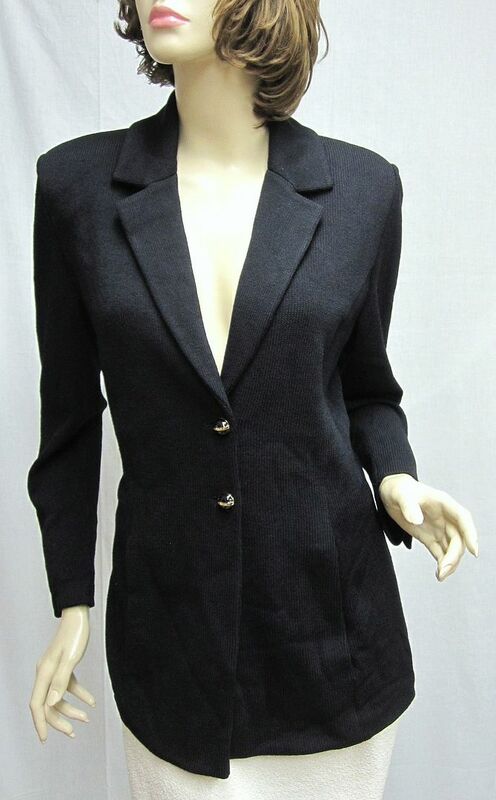 Click the button below to add the St John Knit BASICS Black LOGO Princess Pocket JACKET SIZE 14 to your wish list. 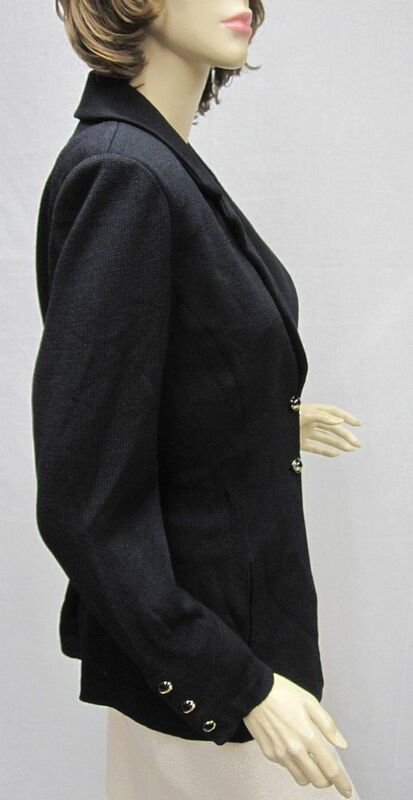 CLASSIC 4 You St John Knit BASICS Black LOGO Princess Pocket JACKET SIZE 14. 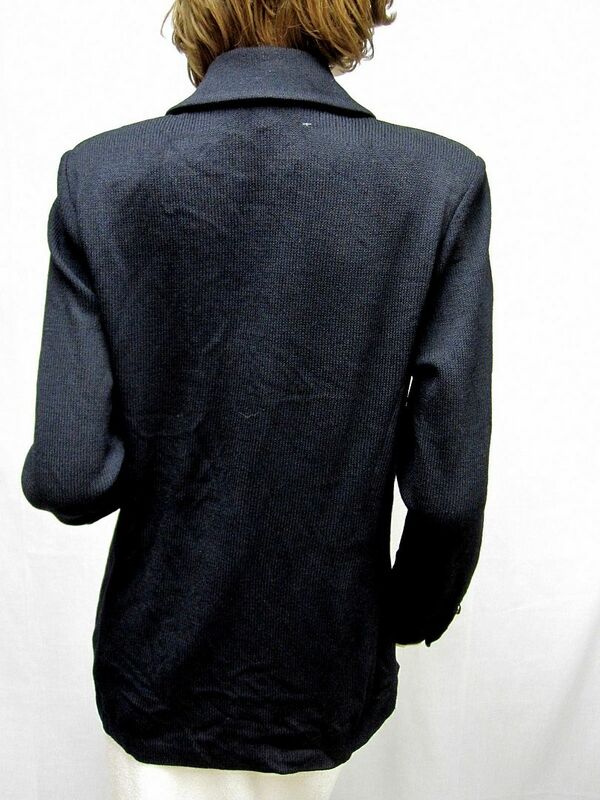 This is your classic st john basic santana knit jacket, It has 2 logo buttons down the front and 3 on each sleeve. 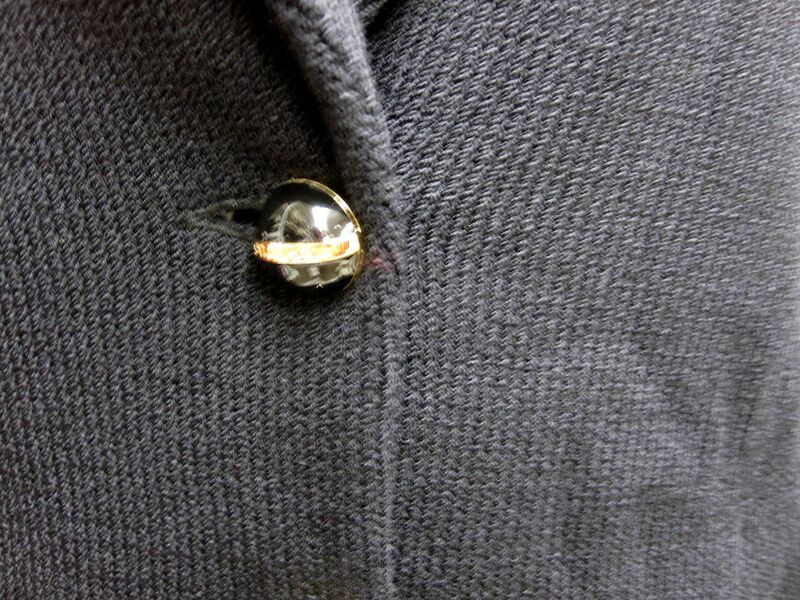 A lapel collar and pockets. WEAR WITH ALL!! Shoulders: 16" Bust: 41" Waist 39" Hips: 44" Length: 26"